It doesn’t matter whether the business owner has a retail store, a hotel, bar, car showroom, live venue, art gallery, restaurant, gym, flower shop, museum, modern office or manufacturing company – it’s very clear that just about any client-led business can benefit from this innovative business marketing tool. Real world scenarios where Google Business Photos is already engaging with future customers would be for example: a bride looking for a great wedding reception will be able to look inside a hotel/venue at the size of function rooms, facilities, decor etc. Someone looking for a specific clothing style would be able to check out a boutique’s range and overall style – a gent may want to book a romantic meal for him and his partner, look at the actual menu and even select a specific table or, a band/artist manager may want to see the size and stage layout of a live venue perhaps? – the advantages are literally endless. Businesses adding this 24/7 marketing tool enhance their online visibility in Google search engine results – as well as on Google Maps and the new, business optimised, ‘Google+ Local’. Searches return more colourful, eye-catching and stimulating pages, stealing a march on the local competition, whilst evening the odds with large on-line retailers, as well as big businesses, multiples, and chains located nearby (see image below). Invites appear from Google to take the virtual tour with ‘See Inside’ and ‘See Outside’, plus the tour itself also now connects to existing StreetView points, making the whole virtual experience complete for both business owners and customers alike. Almost as a ‘bonus’ product for business using the Google Business View service, the Trusted Photographer also takes up to 20 still POI (points of interest) images. These can include for example: opening times, awards, business details, merchandise/brands stocked, menu’s, front vista, wide angle interior’s and decor etc. Just like the above Virtual Tour, business owners are given complete ownership of theses high resolution images for them to use for whatever marketing purposes they’d like. Although the virtual tour and still images sit within Google Maps search results and Google+ Local pages (see below), both of these can be embedded into a businesses own Website/Blog/Facebook page plus a shortlink for the actual 360° ‘walk-through’ can be sent easily via other social media channels (Twitter, LinkedIn etc) and email. On-line browsers enjoy a fully immersive, interactive experience and can view the business ‘walk-through’ both at home/work or when mobile. The technology runs fluidly on desktop computers (Windows/Mac) and laptops – looking especially good when viewed in its full screen glory. Android devices (including the new gyroscopic, compass mode, Nexus 7 tablet) work incredibly well of course plus with recently added, full support and compatibility with (iOS) iPads and iPhone’s the Google Business View virtual tours have pretty much no viewing limitations with popular home and mobile technology. This is a one-off cost, unlike most marketing activities which rely on repeat subscriptions. Copyright of imagery is assigned to the Business owner – no licensing issues. Stand out on, and enhance your, Google search results and share with the world. 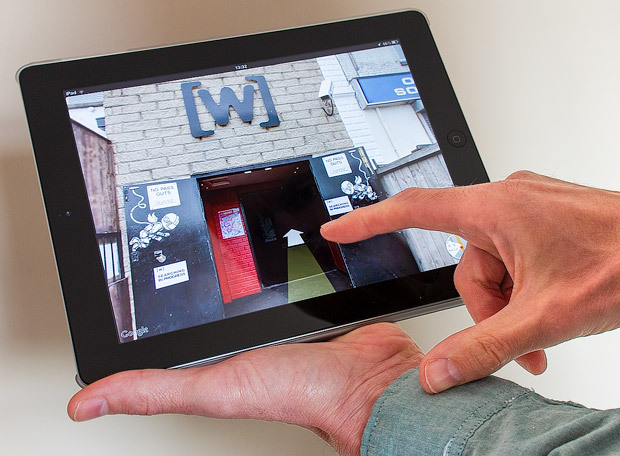 Bring your business to life with a 360-degree, interactive tour. Let your customers walk around, explore, and interact with your business like never before. Showcase all the details that both you and your regular customers love about your business. Attract new online customers. Potential customers are all around you on their mobiles, with Google places they get directions straight to your business. Embed Business Photos Tour on your own website and social media pages. Tours are hosted by Google; so no slow running or bandwidth issues. Over 80% of all consumers looking for LOCAL services, products or information start their investigation using the Google search engine. 55% of UK adults regularly use Google Street View.